President Robert Mugabe returned from Singapore where he had gone for a “routine” medical check-up this morning but his wife, who accompanied him to Singapore, was involved in a “freak accident” at the airport on their way home. According to the Zimbabwe Broadcasting Corporation, Mugabe spokesman George Charamba said Grace Mugabe suffered “some soft tissue bruising on the right ankle as a result of a freak car incident at the Harare International Airport soon after arrival this morning”. He did not explain how the accident happened but said it occurred as the First Family was about to leave the airport for the residence. Grace was taken to “local facilities” where doctors examined and treated the bruise and confirmed that she suffered no major injury. At the time of her discharge, she complained of pain from the hurt ankle, the ZBC said, adding that Mugabe, his daughter Bona and son-in-law, Simba Chikore were with the First Lady throughout the examination, treatment and subsequent discharge. 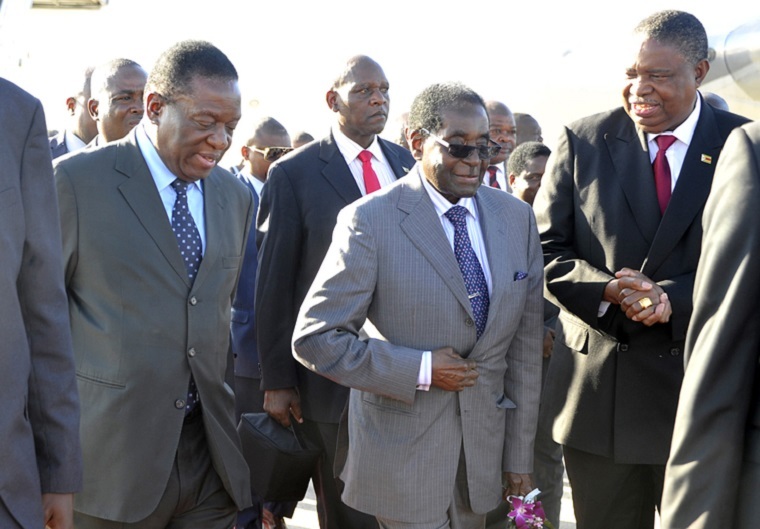 Mugabe has been to Singapore three times this year sparking whispers that his health might be deteriorating but his picture on arrival at the Harare airport showed a health looking Mugabe who is now 93 years and five months.